Right from the time of our inception in 1976, the Company has played a vital role in raising the standard of living of all its associates and customers. The Company has always focused on making life dependable and secure through effective planning. The Company created landmarks under the popular name Everest Developers. 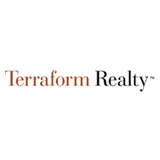 Today as part of its strategic positioning is now names as Terraform Realty. By building quality infrastructure and creating lifestyles at par with international standards, Terraform Realty has carved a niche for itself. Our residential and commercial complexes depict high utility & customer centric approach, resulting in our creations becoming landmarks at prime locations across Mumbai and Thane. Infrastructure development and adding value to life has become a way of life at Terraform Realty. With a qualified team of professionals supervising every stage of buying cycle, we ensure quality experience in all your endeavors with us. Rated as one of the premium real estate development companies in Mumbai, Our philosphy is simple: "Enriching life with nature & technology." With over 35 years of delivering dream properties, our focus still remains the same: Pursuit of Excellence. Our priority still remains unchanged: Our Customers. No wonder, our customers and associates choose us over the rest.